Humans have been crossing plants and selecting their best traits for thousands of years in pursuit of the perfect tomato. Now, scientists have figured out that the genes underlying two of the characteristics we've chosen over the years have been limiting how many tomatoes can be grown on a plant. 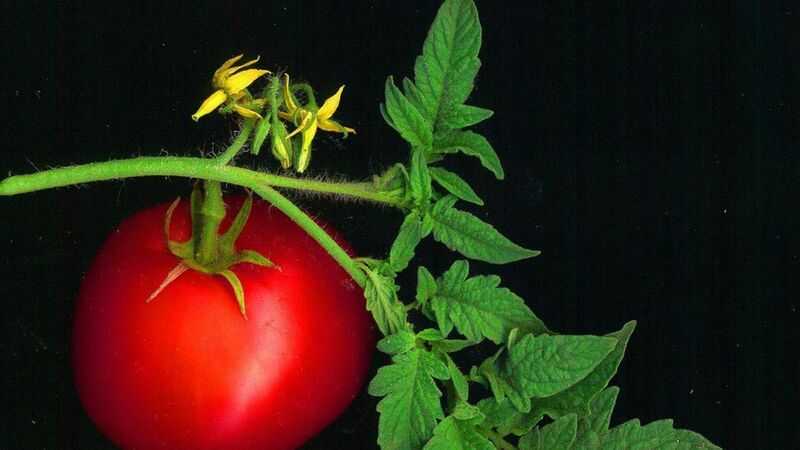 The researchers used the gene-editing tool CRISPR to find a sweet spot where those genetic combinations are balanced, and created a plant that produced more tomatoes. Potatoes, eggplants, bell peppers and other plants with genes in the same family could potentially be tuned in a similar way, the researchers suggest. Why it matters: Breeders and genetic engineers are always trying to increase the yield of plants, especially as food security becomes a pressing concern. The approach has essentially been to incorporate one positive trait on top of another. The new research shows that is a "naive assumption," says Jim Giovannoni from the Boyce Thompson Institute. "[The researchers] make the important point that if you're going to do genetic engineering with the mindset that you just have to find that one gene, there are lots of interactions you probably aren't appreciating. You have to understand a much broader context to make meaningful changes." The details: When the tomato was domesticated at least 8000 years ago, people selected plants that produced larger caps — the leaf-like structures we twist off the top of the tomato — possibly because it can hold heavier fruits. Fast forward to the 1950s, and breeders in search of a plant that would hold more tightly to the fruit during mechanical harvesting started to cross existing tomato breeds with a wild plant that lacked the weak joint on the stem that easily dropped the tomato from the plant. The problem was the resulting plant also produced lots of branches, and therefore lots of flowers that diverted the plant's energy from producing tomatoes. Breeders overcame that by crossing in other plants that suppressed the unwanted effect, while still allowing the tomato to be plucked with robotic pickers, but paid little attention to the trait chosen thousands of years ago. Side note: There has been lots of talk of CRISPR-perfected crops, but it's still unclear whether plants modified using the technique will be regulated as genetically modified organisms.